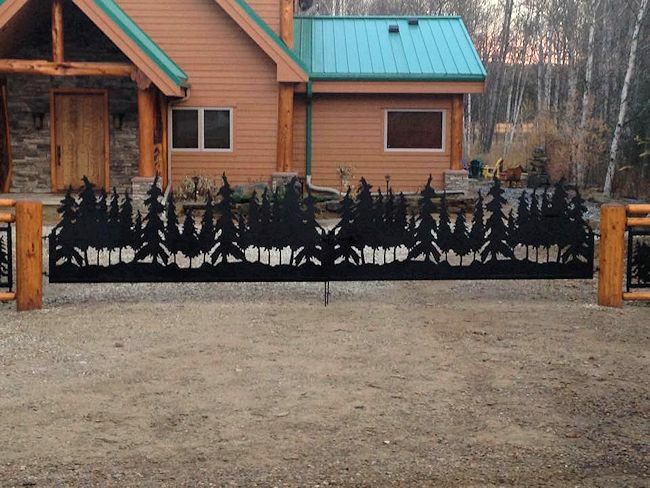 Wrought Iron is an excellent choice for your fencing needs as it is strong, flexible, pliable and corrosion resistant. 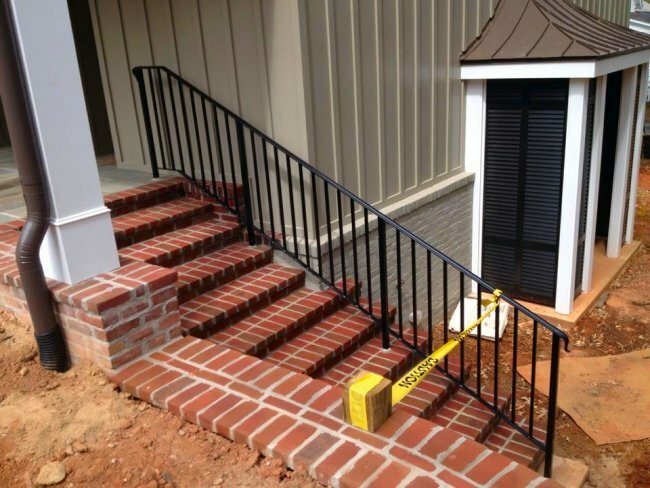 This facilitates making custom ornamental and decorative wrought iron fencing and railings that provide years of beauty and service. 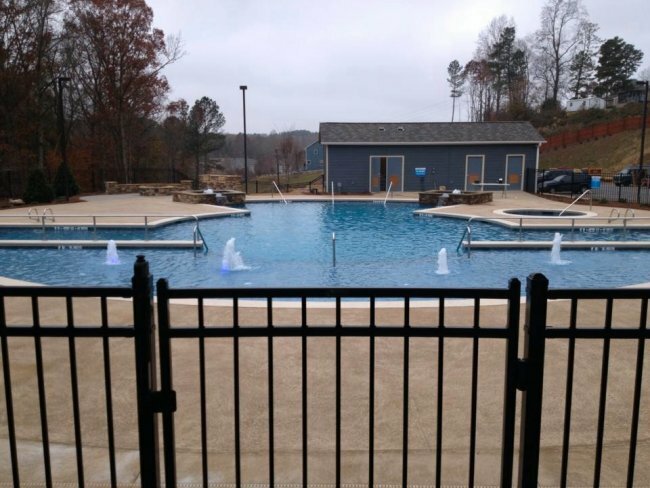 Whether you need new iron fence, or iron fence repair services or a new powder coated aluminum fence for around your pool, we can provide you with fast, professional fence services at competitive prices. 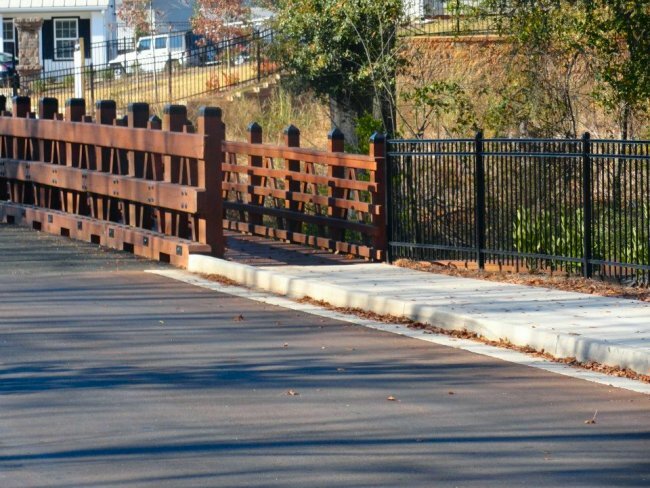 Wrought iron was originally developed early in history as it was made with iron that allowed it to be bent and shaped (wrought) to meet the needs of the time. 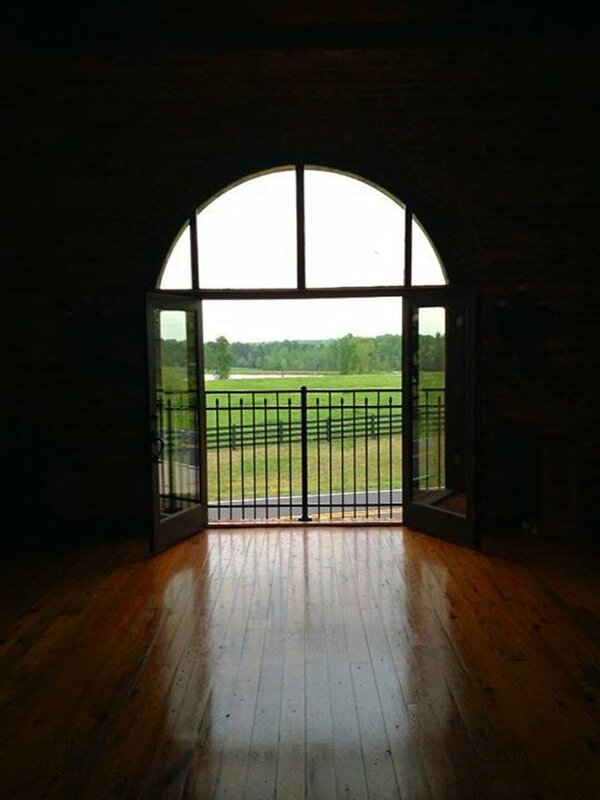 There are many famous items from history; such as: Old Ironsides, and other areas containing wrought iron gates and fences made during the 17th, 18th, and 19th century in England for churches and estates. 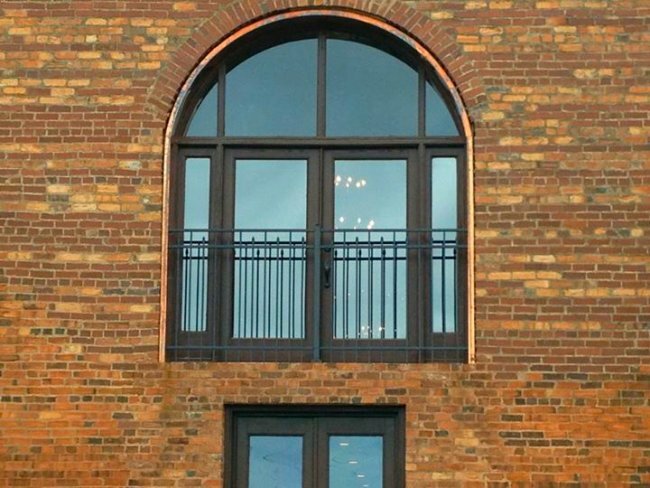 Most wrought iron usage has been replaced with mild steel which can be commercially produced and provide the same benefits of the original wrought iron. 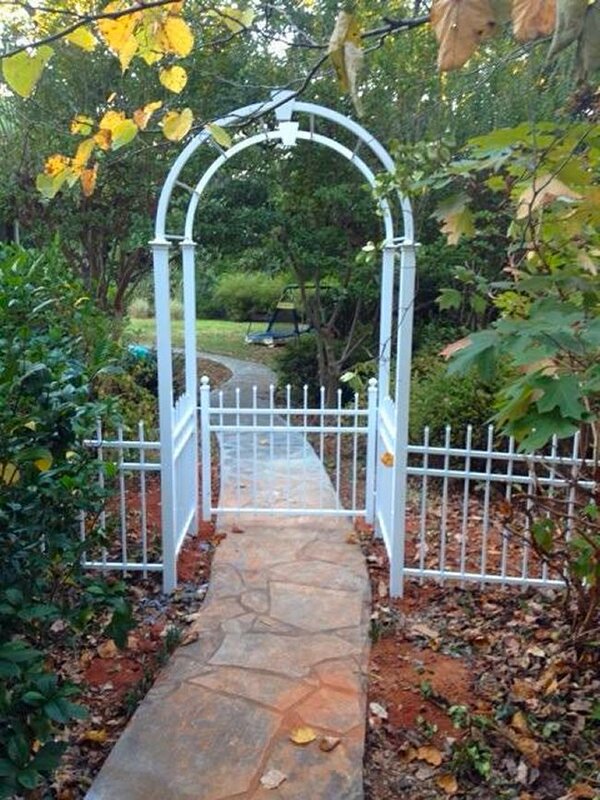 Therefore, it is still called wrought iron by many because it has the ability to be shaped or modified. 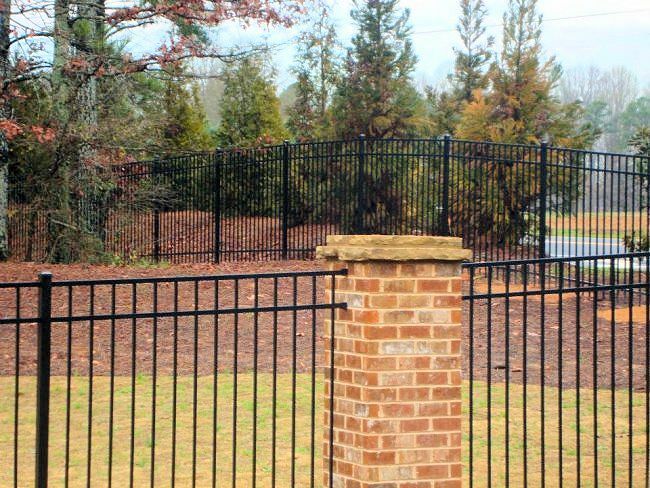 Custom Wrought Iron Fencing and Gates still provide the beauty and the benefits of strength, durability, and corrosion resistance. 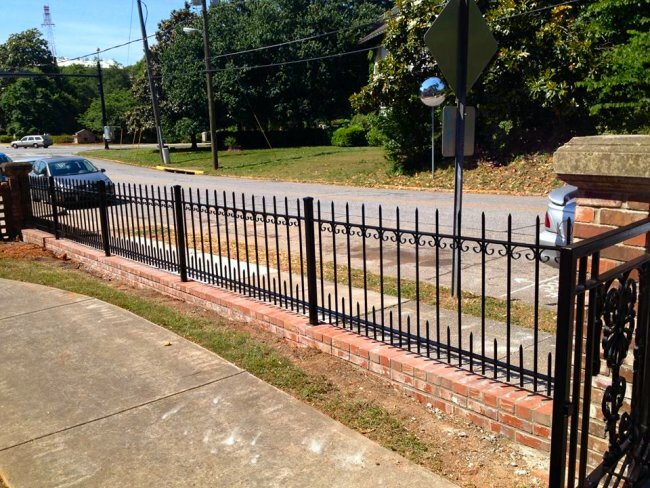 It is a heavy all welded wrought iron fence that provides the best strength, security, and durability. 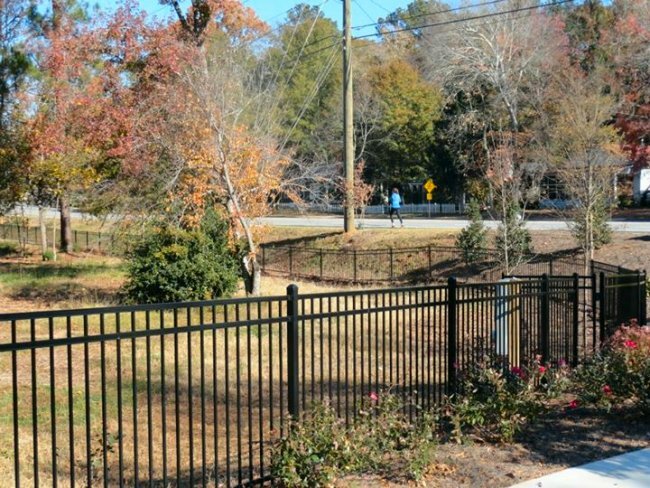 Our wrought iron fencing is powder coated to reduce maintenance requirements, however, there are maintenance requirements over time. 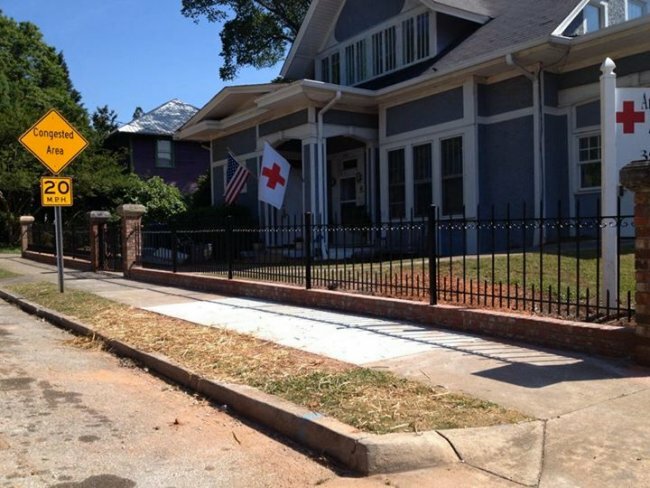 Ornamental Aluminum Fencing is lightweight, easy to install, and maintenance free. 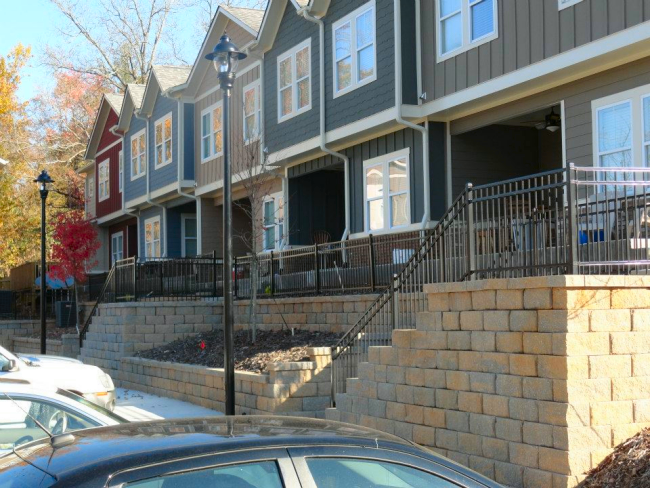 It is also much easier to install in hilly areas. 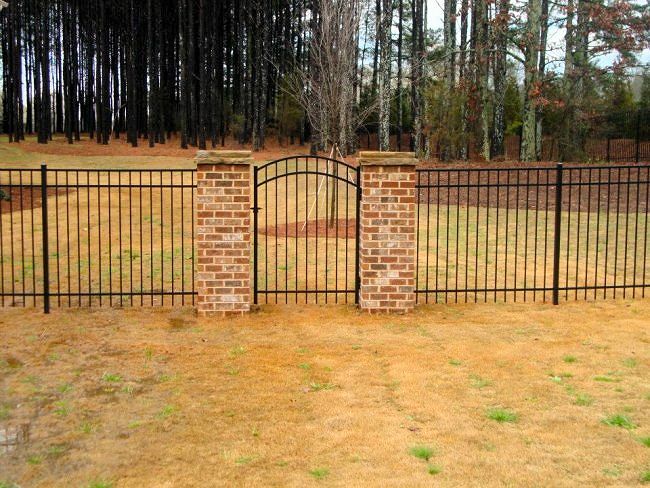 It is powder coated which gives our fencing a life-time of maintenance free service. 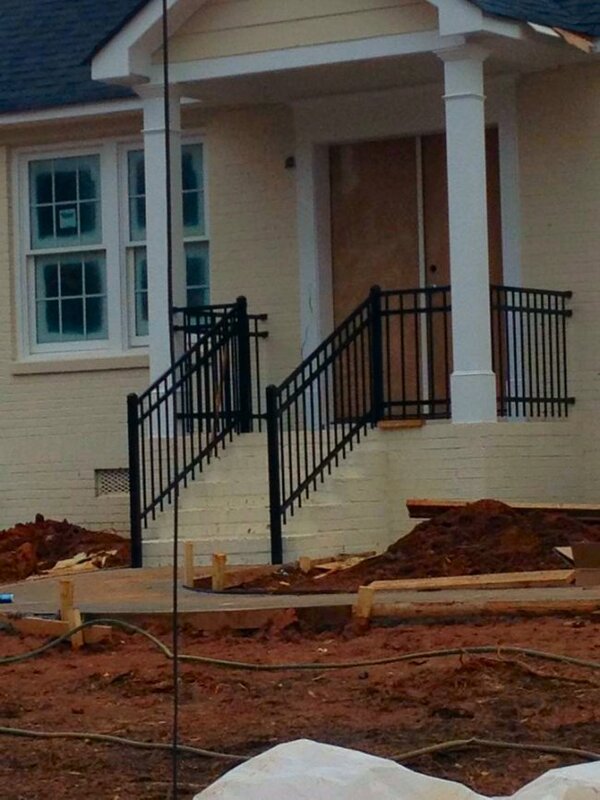 You basically install it and forget about it. 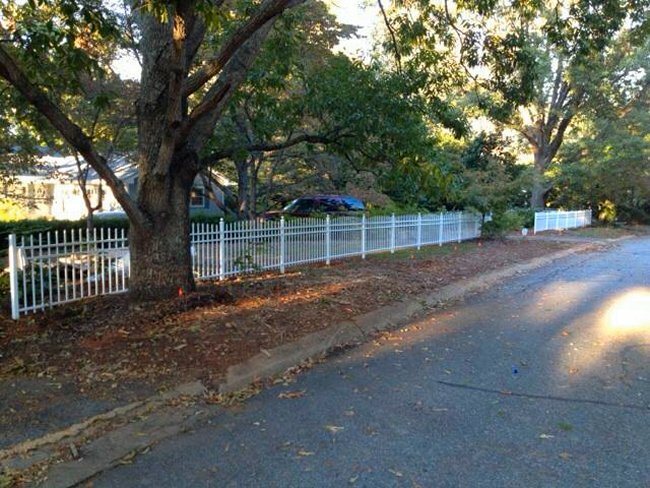 Aluminum fencing can define your property lines, contain kids and pets. 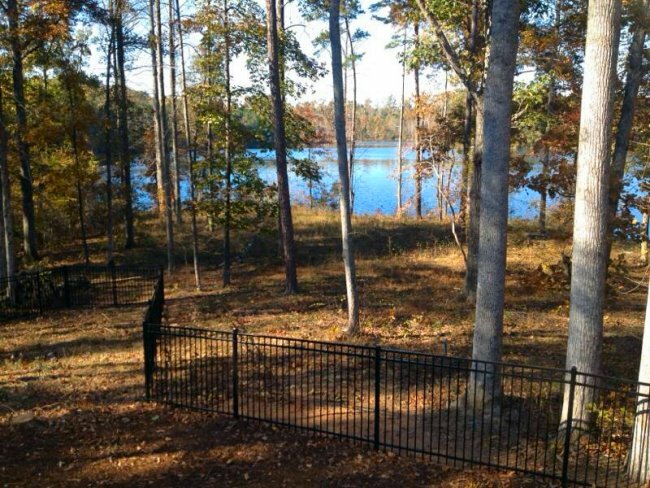 Our aluminum fencing is also commonly used around swimming pools at home, apartments or condos. 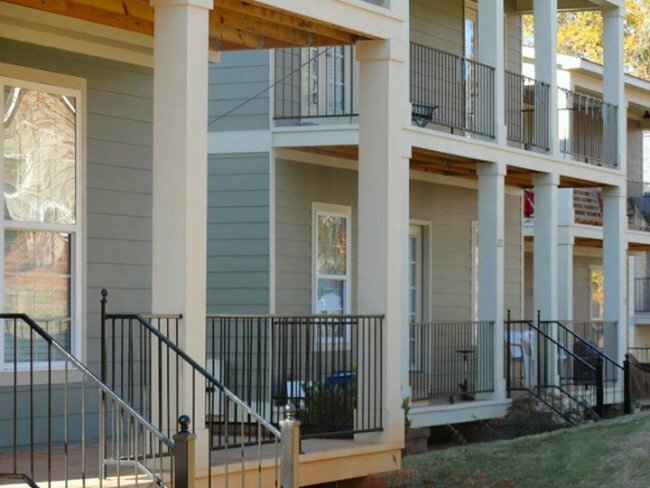 There most likely will be building code requirements in terms of height, gating, and locking. 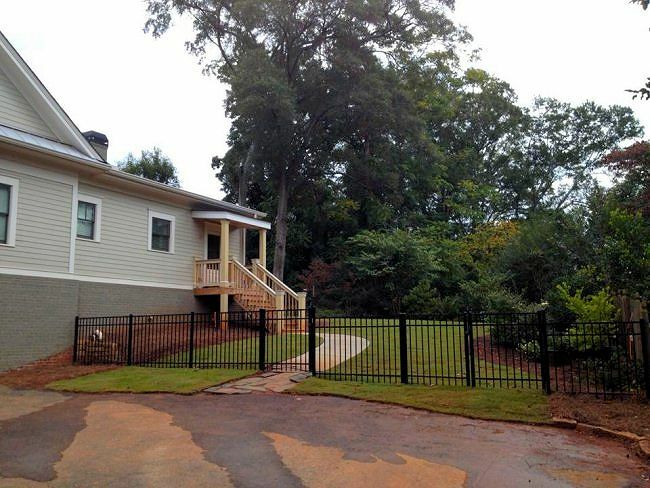 Aluminum fencing designs can add years of maintenance free beauty to a home or other property. 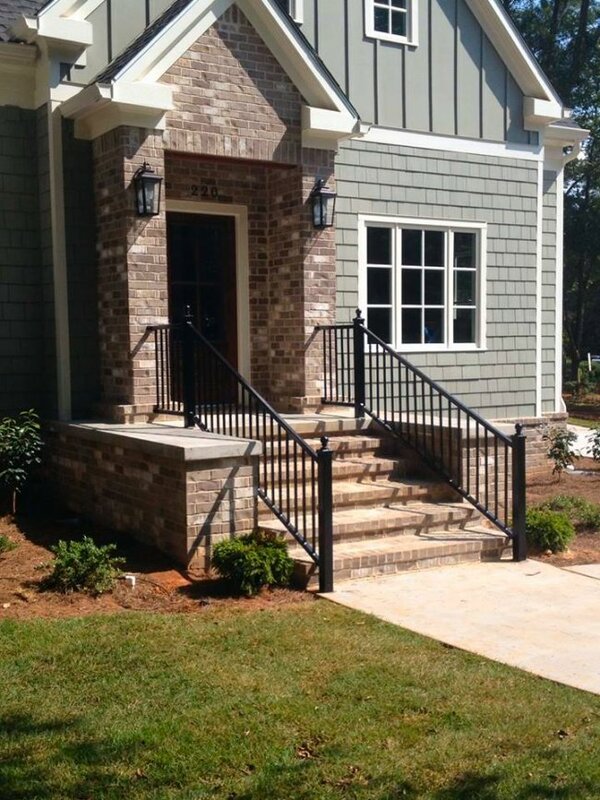 Decorative Railings can add years of functional beauty to: stair cases, front door entrance areas, balconies, decks, patios, and many other areas. 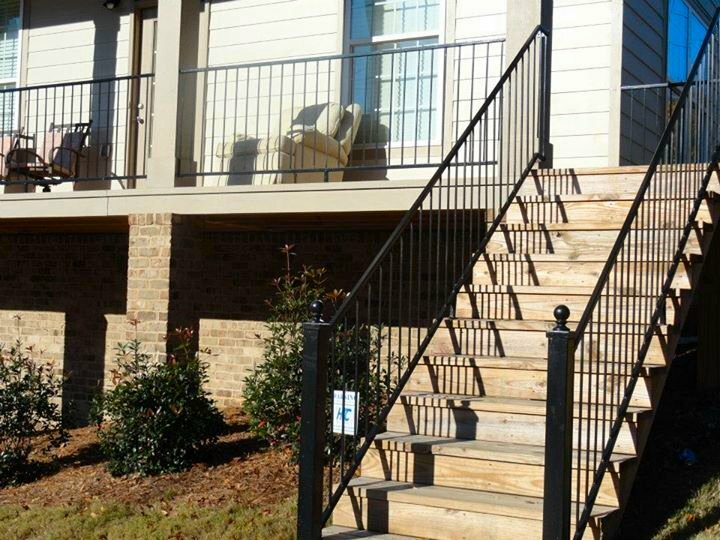 Our decorative railing designs can be aluminum or wrought iron and comes many different sizes to meet your needs. 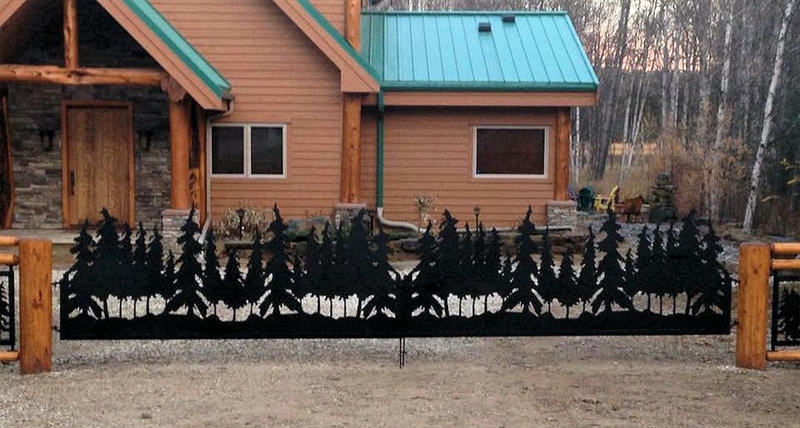 There are many different fencing heights, styles, and designs to meet your needs. 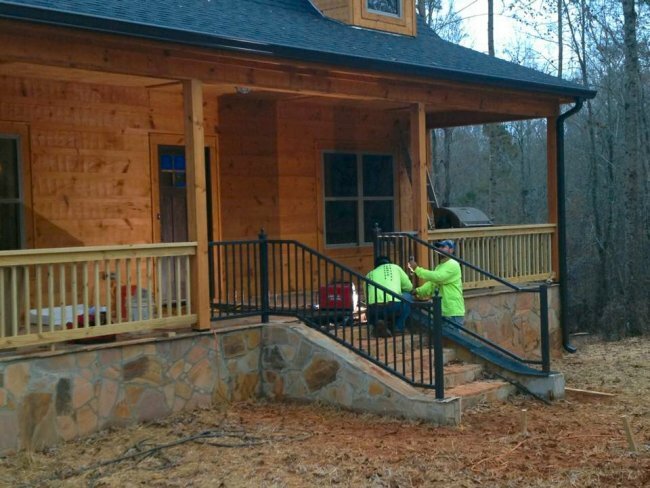 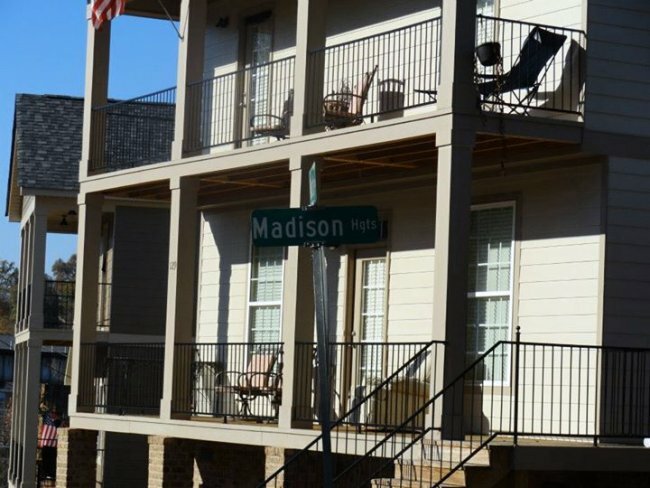 Akridge will work with you to develop a custom design that meets your requirements.